According to a new report from International Data Corporation the PlayStation 3 reached life-to-date shipments of 77 million units worldwide in December, surpassing the Xbox 360’s lifetime total of 76 million. Assuming the estimates hold true, this means that PS3 global shipments totaled an impressive 7 million units between November and December 2012. For those who only pay attention to NPD’s monthly sales estimates this news will likely come as a bit of a surprise, since Microsoft’s Xbox 360 holds a commanding lead over the PlayStation 3 in the United States. Sony’s PS3 makes up the lost ground in the European market (where it took the lead in weekly sales last year) and in Japan (where the Xbox 360 is a non-factor, with a mere 1.6 million units sold LTD compared to 8.9 million PS3 systems LTD). 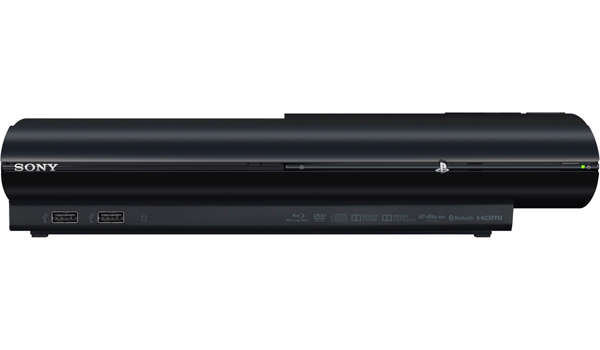 While the PlayStation 3 seems to finally be hitting its stride in terms of sales, the same can’t be said for the company’s PS Vita handheld. According to a report from the Wall Street Journal, Sony CEO Kaz Hirai was asked about the Vita’s sales during a media briefing following their CES presentation earlier this week. Hirai was quoted as saying the handheld’s sales have been “on the low end of what we expected”. He then added that the 2012 holiday sales were “pretty much” in line with expectations, however, those expectations came from the company’s lowered forecast that were released last November. Hirai noted that they still believe that the Vita could be a success and stated that Sony always waits 5 to 10 years to judge the relative success of any product. In other words, the Vita has a 10 year plan. PlayStation Vita sales have been extremely hard to pin down since the system launched (due to a convenient change in Sony’s reporting practices that now has them only reporting combined PSP and Vita numbers) but it has become clear that the handheld is struggling. Weekly Vita sales in Japan — which should be a stronghold for Sony’s handheld — are well behind the 3DS and frequently fall below current PSP levels. Additionally, there is very little software on the horizon and Sony has admitted that they have had trouble convincing third-party developers to support the handheld. A price cut for the Vita would seem to be the clear answer to help boost sales, however, Sony’s financial position combined with the strengthening of the Japanese Yen make it unlikely that the company can afford such an easy fix. Whatever the answer is for the company’s handheld business, Sony needs to act fast or run the risk of having the Vita’s 10 year plan cut extremely short.